Thanks, Mail Carrier | Celebrate the Colors of Spring with Rainbow Pudding Pops! 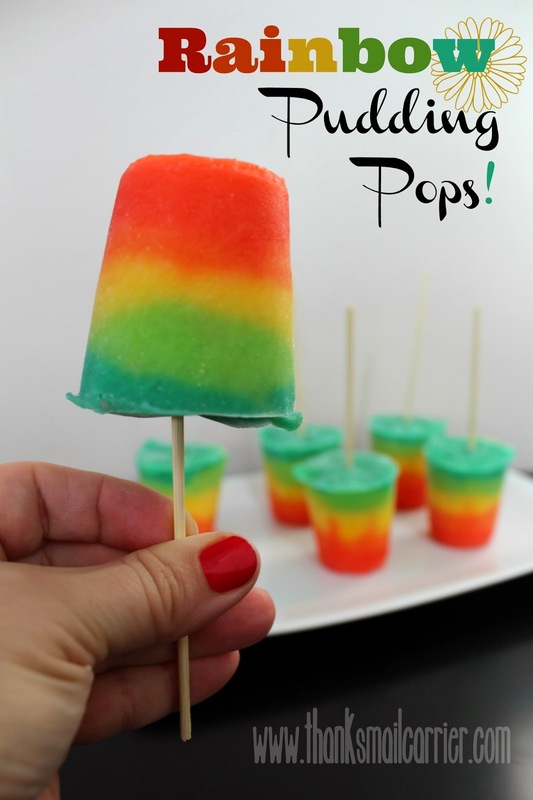 Celebrate the Colors of Spring with Rainbow Pudding Pops! Although sometimes I think that fall is my favorite season, spring is truly the time of year that I welcome the most. After a long, cold Midwest winter, to be able to wear flip-flops, t-shirts and finally put away the snow boots almost feels like a dream. Not to mention that the arrival of May always feels like the kickoff to everything that I love about the upcoming warm summer months. Cookouts, picnics and potlucks, holidays like Cinco de Mayo, Mother's Day and Memorial Day that are celebrated with BBQs... what's better than relaxing with friends and family while sipping a glass of punch and piling a plate with coleslaw, a burger, and some fruit salad? For me, there is one spring treat that I always know that I can turn to that will surely be a hit. No matter if we're having a gathering of family or simply a yard full of kids out playing in the sunshine, I always adore the quick, easy deliciousness of Rainbow Pudding Pops! Could these Rainbow Pudding Pops be any more fun? Not to mention that this recipe includes all of the aspects that I love when it comes to whipping up tasty treats: simple to make, easily customizable, absolutely delicious, and a resulting appearance that they may have been complicated to make. It's always fun to impress! Using only three simple ingredients — JELL-O Vanilla Flavor Instant Pudding, milk and food coloring — and a few supplies, these are just too easy to throw together in just about any color combination that you choose. 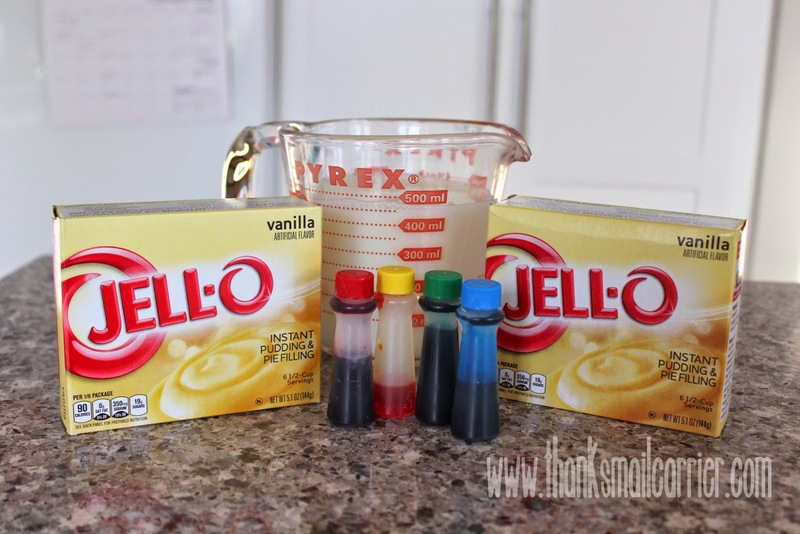 While freezing juice to make popsicles is always an option, I love reaching for JELL-O Instant Pudding because there is no waiting time needed in between adding each layer of color. 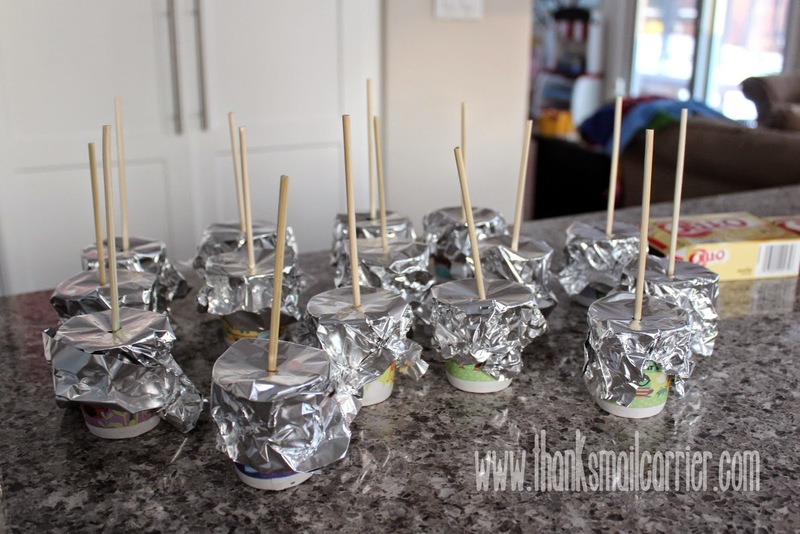 ...and layer right into your popsicle molds or small paper cups. Create shades of green for St. Patrick's Day, layer pretty pastels for Easter, use red, white (or almost white) and blue for the 4th of July, or just make adorable rainbows like these for any day of the week! Are you feeling the spring spirit? Whether you are inspired to create or adapt your own new recipes or want to have fun browsing the large number available online (KraftRecipes.com has a whole slew of fantastic ones!) it is easy to find a whole plethora of snack, meal or dessert ideas that are creative, delicious, fun and perfect for spring and summer. For now, Kraft is hosting this adorably fun recipe of mine, so head over to find all of the ingredients and steps necessary to whip up your own batch of awesome Rainbow Pudding Pops! These look like so much fun to make as well as to eat! The kids would love them! my kids would love this. for some reason, anything rainbow is a big hit. PLUS they love ice pops!!! This is so coll for cool on a budget. 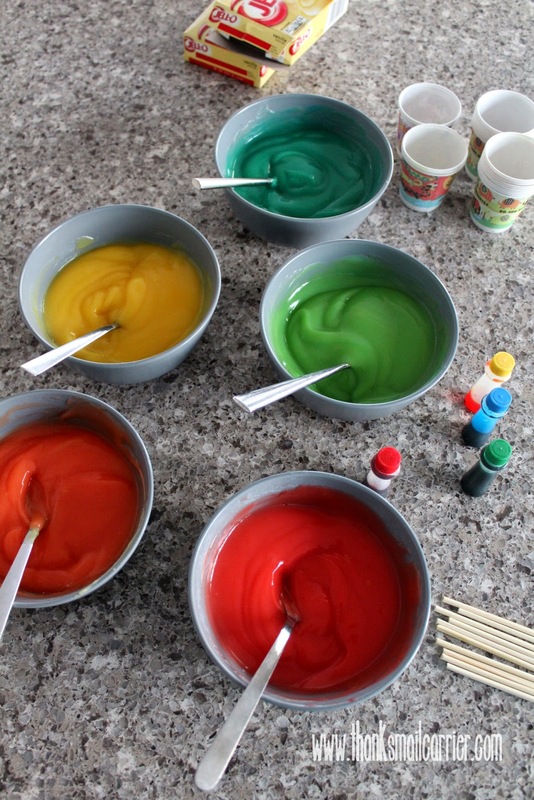 Wow rainbow pudding pops, quite colorful and fun to make with the kids, great for a kids birthday party. I like that with the pudding pops you can make all the layers at once. Very fun and colorful. What a great idea! My grandsons love pudding and they love ice cream. This would be much cheaper and easy to make. I'm sure they would love them. Heck I think they would like plain vanilla and chocolate pops. I've never tried freezing pudding. What a great idea! Some hot day this summer, I'm going to remember this, and we'll all be very grateful to you. Thanks! YUM! Love those colorful looking pops! Perfect for a summer party! These would be really fun to make and a great summer treat! These look amazingly delicious and I know my grandchildren will love to have a treat like this :) Will have to try this this coming summer for them.. This will be great to try this summer with my girls. I really like Krusteaz products. I'm so excited to find this! I've been making popsicles every day for a while now, and I've gravitated to making a homemade pudding from scratch for the pops, which is time consuming and messy. It never occurred to me to try using instant pudding - yeaaa!!! These are adorable! 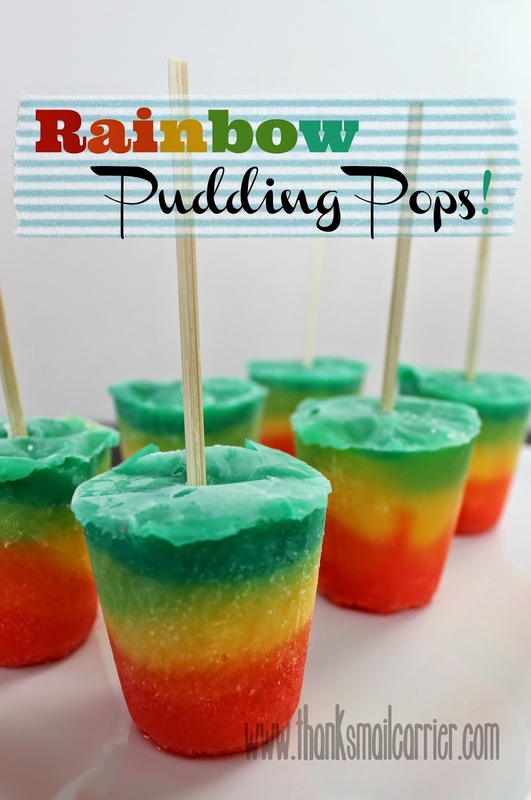 These rainbow pudding pops sound great that they aren't just Popsicles even though they have that look. I am sure they taste much more rich. I love this color combination. I also like the ease of this idea. This looks very nice to make. The kids will just love it.